The testo Saveris H4 D has a connection option for an external humidity/temperature probe and is therefore ideal for monitoring ambient conditions in buildings and warehouses. The testo Saveris H4 D radio probe has a data memory for 6,000 readings per channel. It is also equipped with a display, showing the current measurement data, battery status, limit value violations and quality of the radio link. 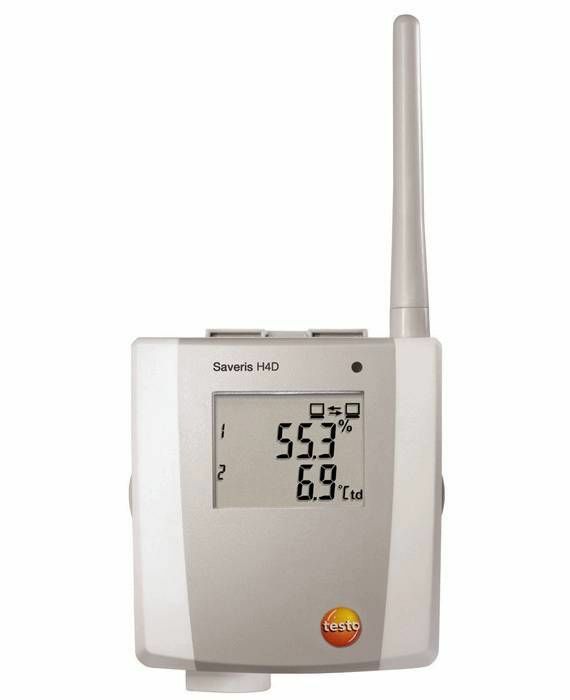 testo Saveris H4 D radio probe with 1 external humidity/temperature probe connection and display, radio frequency 868 MHz, including wall bracket, calibration protocol and 4 × AA alkaline manganese batteries.